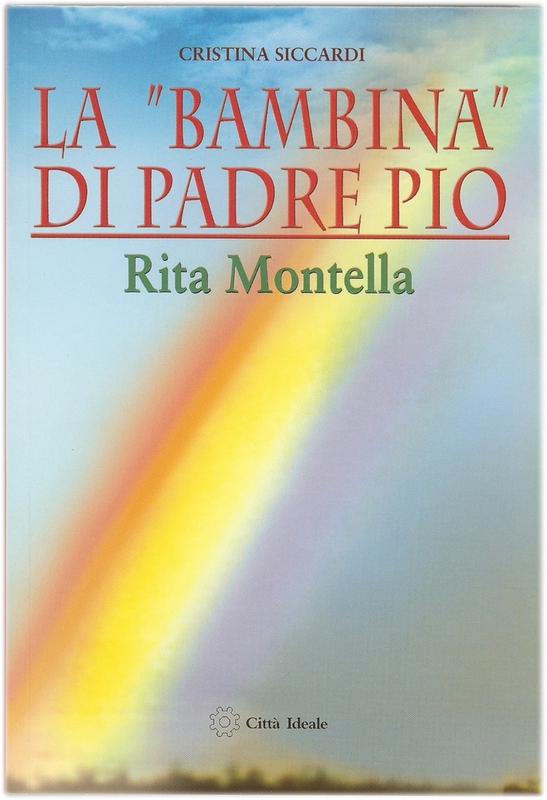 Mystics of the Church: Cristina Montella -Sister Rita of the Holy Spirit: "The Little Girl of Padre Pio"
Cristina Montella -Sister Rita of the Holy Spirit: "The Little Girl of Padre Pio"
by Cristina Siccardi, Citta Ideale, 2003. 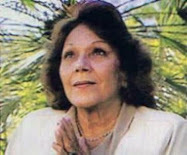 Cristina Montella was born in Cercola (Naples) on April 3, 1920. 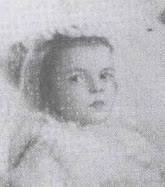 Once when she was just two years old, while at her aunt’s house where there was a picture of St Gerard Majella, a redemptorist saint, she saw the picture come to life and ran away scared. Several days later she took courage and came to see the picture again. This time St. Gerard extended his arms towards her, embraced her and told her, “Cristina, you will become a nun.” During her childhood, she continued experiencing mystical phenomena like frequent interaction with the child Jesus, the Virgin Mary and her Guardian Angel. Her heavenly friends told her not to say anything about it. She was also very penitential. She would sleep on the floor with a rock as a pillow. Her father took her out of school when she was in fifth grade because of the fascist government, whose ideology her father was against. 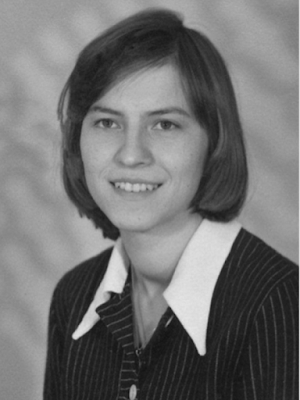 After this, she remained home and became active in Parish work teaching Catechism to girls. 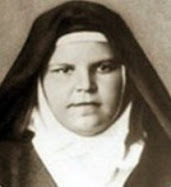 At the age of fourteen, she meets Padre Pio for the first time the night between the 25th and the 26th of August, 1934. Padre Pio appeared to her while she was praying. She had never seen him before, so he introduced himself saying, “Cristina, I am Padre Pio,” and started calling her “bambina” (little girl) not because of her age but rather because of her innocence. 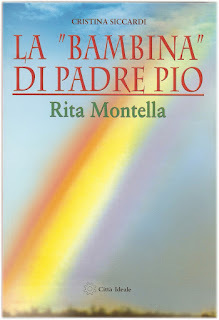 This is what Father Franco D’Anastasio, a passionist priest, who has dedicated thirty years to gathering information about Sister Rita writes: “On September 14, 1935 (almost a year after the first apparition of Padre Pio) around 2:00 am, the fifteen year old was praying as usual in her bed. Suddenly, Heaven opened up to her. She saw in the forefront, Jesus alive on the Cross, with rays coming out of his wounds. Near him, were the Virgin Mary, St. Joseph and Padre Pio.” Sr. Rita herself remembering this in 1976 says that it was then that she received the stigmata. She recalls that Jesus asked her if she wanted to feel the pain of His wounds and she said yes. At that moment the rays of light from the wounds of Jesus penetrated her hands, feet and side and the wounds started to bleed. The following day, she went to the Shrine of the Madonna dell’Arco to seek advice from a priest. 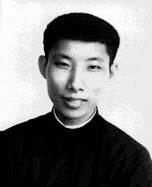 She found a young recently ordained passionist priest named Padre Paolo Guida whom she told what had happened. He told her to go pray in front of the statue of the Virgin Mary and ask her for the grace that Jesus may take away the stigmata. Sister Rita did as she was told. To the astonishment of Padre Paolo and Cristina herself, her prayer was immediately answered and the stigmata disappeared, however, the pain and the wound in her side remained until the end of her life. 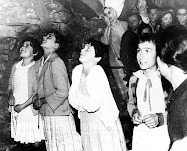 In one of her mystical encounters with Padre Pio, he told her, “Lucky you, little girl, who has them hidden,” and he kissed her hands and she kissed his. 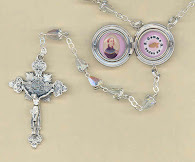 Since that September 14, 1935, she kept the ‘Holy Hour’, which she called the Holy Hour for priests. During this time, she relived the Passion of the Lord in her body for three hours every night, but she did not suffer alone. Padre Pio joined her mystically every night. On August 10, 1940 she entered cloister of the Augustinian Nuns in Santa Croce sull’ Arno’s (Pisa, Italy) where she remained for fifty one years until her death on November 26, 1992. She performed different jobs during this time including cook, nurse, sacristan, seamstress, and accountant. At the beginning, Cristina would pray the “Holy Hour” every night around eleven o’clock in the chapel behind the sacristy in order to be near the Blessed Sacrament. Here Padre Pio would meet her and they would pray together with two couples of angels who would hold their arms up. After two or three months of doing this, she decided to hold the “Holy Hour” in her room because it was more private. Cristina had many extraordinary gifts such as visibly seeing her guardian angel, the gift of prophecy, reading of hearts, and bilocation. She also had the rare gift of accompanying souls into paradise, the souls of those on whose behalf she had suffered the pains of purgatory. During the last years of her life, she nourished herself exclusively on the Eucharist, which often she received directly from the side wound of Jesus. "-Is it true that you were present when they condemned the Cardinal? What did you say? I was there and I said that by doing that they were going to go to hell. One of them told me that he did not care about hell. -Were you dressed as a nun? No, I was dressed as a lady from the city. -Did Padre Pio used to go with you to visit the Cardinal? -Where did you get the Sacred Vessels for the celebration of the Mass? From the sacristy of my monastery. Different languages. That was not a problem. -Did you use to take other things to the Cardinal? Sometimes, I would take him a coffee. -What if I asked the Cardinal personally to confirm these instances of bilocation? He would not say anything because he has to keep it a secret." Fr. 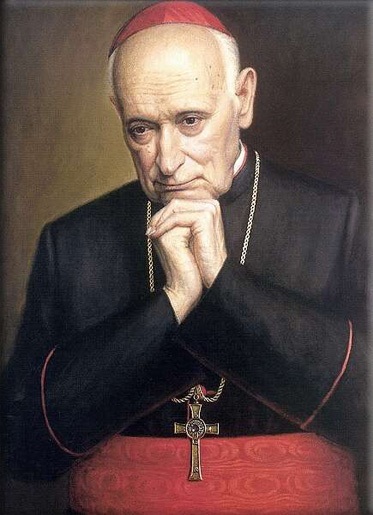 Teofilo, her spiritual director, in order verify that she was really visiting Cardinal Mindszenty in jail asked her to ask the Cardinal to give her a post card or prayer card to be sent to the Pope. A short time later, when he saw Sister Rita again, she handed him a card with the picture of the Virgin Mary and baby Jesus with a message written in Latin for Pope Pius XII thanking him and asking for his blessing signed by Cardinal Mindszenty and dated May 26, 1949. 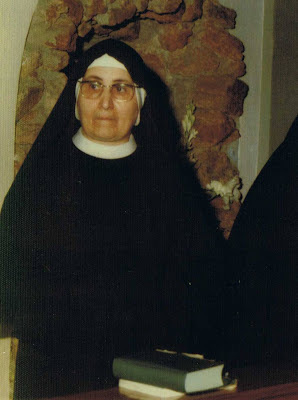 From the beginning of her novitiate at Santa Croce sull’Arno, Sister Rita had problems. She was very good in the kitchen, in the laundry room, as a nurse and as a tailor. Because of her superior intelligence the Abbess wanted to make her a choir nun, a higher rank than the lay sisters. Some of the nuns were jealous and opposed this decision, so the Abbess decided to transfer Sister Rita to the monastery of Radicondoli in Siena. After a short stay there, Sister Rita returned to Santa Croce because she felt this was the monastery where Jesus wanted her to be. She was readmitted and started her second novitiate here again. 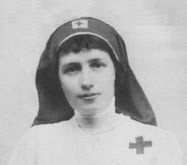 Soon afterwards, however, she became very ill at the age of 21; she had bone tuberculosis. This impeded her from doing hard labor and be near the other novices. "-When did the mystical espousal with Jesus take place? It began at 2:00 on April 27 which was the day of my investiture. -Before that occasion had you done the ‘Holy Hour" with Padre Pio? Yes, he even came that night. -Who was present from Heaven? The same ones I have told you before. -Are they the Virgin Mary and St, Joseph, Padre Pio, St. Augustine, St. Cristina, St. Clare, Augustinian, St. Catherine of Siena, St. Gabriel of Sorrows, and St. Gemma Galgani? -Did you get a wedding ring? Yes, Jesus put it on me and I on him. -Did they (the saints) congratulate you? They gave me a simple hug and extended their wishes for holiness. -It seems to me that this is about being a ‘crucified’ spouse. Yes, of course. Otherwise, it would not make sense." While the espousal was taking place Jesus showed Sister her future spiritual director, Fr. Teofilo dal Pozzo, capuchin. He became her spiritual director five years later. Sister Rita made her final profession on May 23. 1946. Inside the monastery Sister Rita suffered from the persecution of some of sisters that disliked her. They humiliated her and called her “strange” and “hypocrite.” She tried to keep her supernatural life hidden. 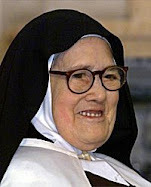 The former Abbess wrote to the convent of Radicondoli about the situation with Sister Rita telling them that “Here, between you and I, we have a saint among us. And those who dislike her do because she is a reproach to them.” About two of the sisters that mistreated her, Sister Rita said, “Sister Giuseppa and Sister Cristina were good. 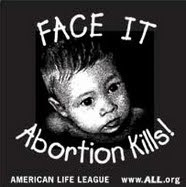 Unfortunately, without realizing it they were used as instruments of the adversary,” referring to satan. Everything that happened remained within the walls of the monastery, however Jesus told her: “Everyone wants to be seen in order to be praised. My ‘little ball,’ instead, is always hidden. This is why I want everyone to come to know you. The one I will entrust you to (Fr. Teofilo Dal Pozzo) will be the first one to make you known.” Fr. 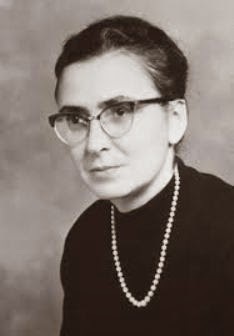 Teofilo who would be her spiritual director from 1947-1962 believed that Sister Rita’s gifts of counsel, prophecy and prayer could help many people and wanted her to meet other religious and lay people; however, in the sixties after he died, her supernatural gifts were kept hidden. 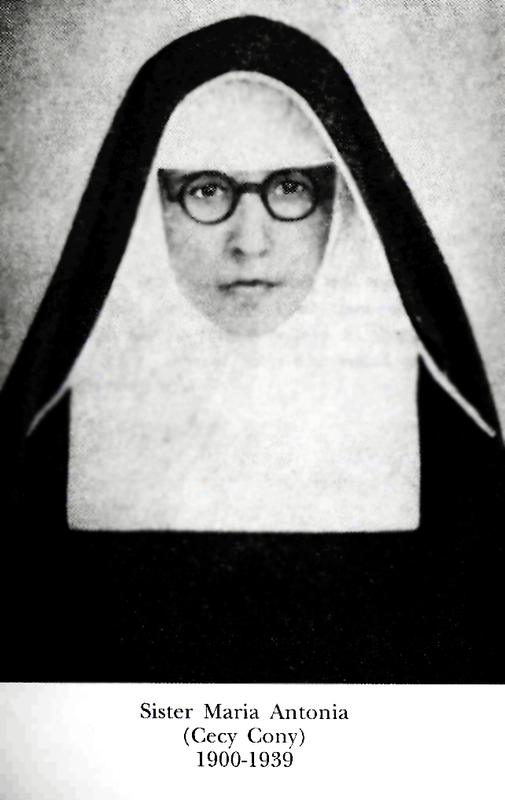 In the fall of 1949 they started medical and psychiatric evaluations of Sister Rita that would last seven months. The medical exams could not explain the reasons for her conditions such as migraines, vomiting, and insomnia. The psychiatric evaluation also found her to be normal. 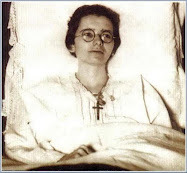 There is no medical report on the stigmata because except for the wound on her side, they were hidden, and the wound on the side disappeared when she was being examined. 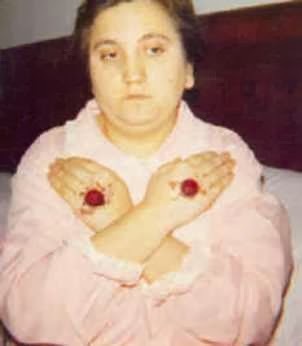 Sister Rita had the mystical gift of inedia or “mystical anorexia” in which she was nourished exclusively on the Eucharist. She could not hold food in her stomach. In the seventies, she was ordered to take some food every day, and she obeyed which represented a great suffering because it would make her sick and she had to throw up. Her guardian angel would wipe her tears and tell her, “Poor daughter. What a penance!” And the Blessed Virgin Mary told her, “This happens to you because your body does not need food any longer.” She did not sleep either and yet was able to continue working in the kitchen and the infirmary. 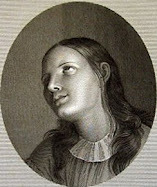 She also suffered from hyperthermia, another mystical illness in which body temperature reaches a very high fever. She had fevers of up to 52 degrees C.
The experiments they performed on her only worsened her poor health. In 1949 she was sent for a few days to a clinic in Florence to investigate her “mystical illness.” In another of the letters Sister Eleonora writes: “The other night Padre Pio and the angel came to make her bed, giving a good lesson to our nurses who had forgotten to do this. This morning the priest has brought her Holy Communion after four days of fasting, but actually she had received Holy Communion every morning from her angel or from Jesus Himself. Two trips to Florence for checkups. Think, Mother, what suffering. They had to inject liquid into both of her eyes which made her suffer terribly and not be able to see for a day. This happened because our daughter does not sleep at all and her eyes are exposed many hours to supernatural light, very different from natural light.” This test was done by the doctors who justified it by saying that her pupils were too dilated. She had the gift of prophecy and foreseeing some future events. 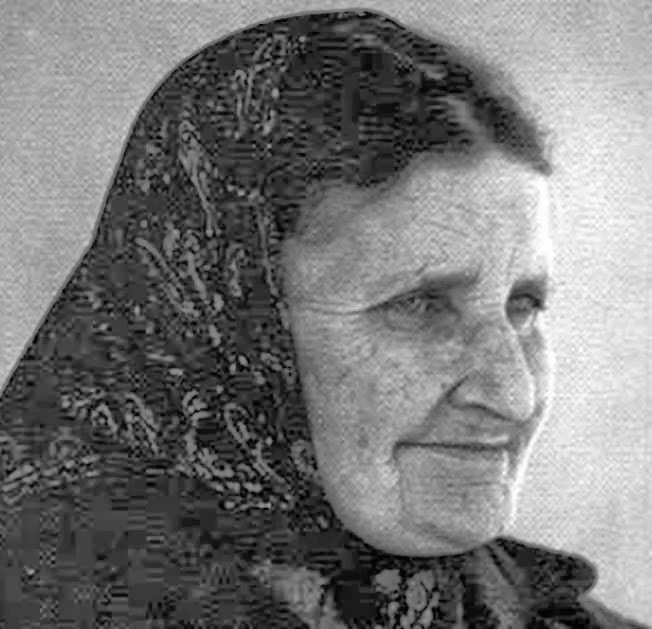 She predicted the earthquake that took place in Ancona on June 13, 1972. 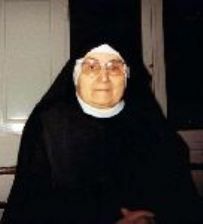 Sister Paola Caciari of the Institute of Daughters of the Immaculate Conception had a sister, Giovanna, living in Ancona. Sister Rita told Giovanna to move from Ancona to Bologna specifying that she and her family should be out of Ancona no later than June 13 before the evening. That night there was a great earthquake which damaged the building where Giovanna lived. Sister Rita also knew that her spiritual director Fr. Teofilo was going to fall into a 12 meter deep ditch as Satan’s revenge for the new vocation that Fr. Teofilo and Sister Rita had obtained for the monastery. The priest was walking down the street after visiting a convent. Sister Rita appeared in bilocation at the moment the priest fell into the ditch injuring his head and his back. He did not die because Sister Rita rescued him. His glasses and the eggs he was carrying did not even get broken. Injured, he was accompanied home by Sister Rita who was invisible. He felt someone was holding him and he also could smell the mystical perfume she emanated. 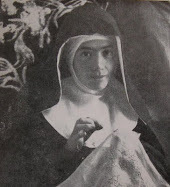 The Mother Superior later asked Sister Rita if it was true that she had helped him and she replied, “See for yourself, my habit is all full of mud.” She also asked God to let her take some of the priest’s suffering after the fall. She obtained her request and suffered for a while until the suffering suddenly disappeared. Like Padre Pio, her presence was often detected by the smell of violets. Sometimes Fr. 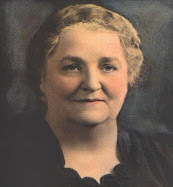 Teofilo would ask her to open her hands in front of visitors so that the perfume of violets could get stronger and Sister Rita greatly ashamed obeyed. Fr. D’Anastasio mentions in his book Sister Rita’s bilocation to Rome on May 13, 1981 in order to help Pope John Paul II the day he was shot. According to a report, Ali Agca declared that at the moment of the shot a nun had diverted its course. The Italian newspaper Il Corriere della Sera on May 8, 1991 published a follow up article stating that the bullet’s path had been diverted; otherwise, the shot should have been lethal. Sister Rita revealed to Fr. D’Anastasio that she had been there together with the Virgin Mary. 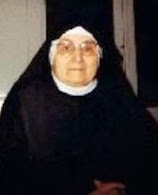 On July 21, 1992, Sister Rita bilocated in order to help her seventeen year old nephew Massimiliano Aurino, who was riding a moped and went through a red light crashing into a car. The moped was completely totaled but Massimiliano ended up with just a slight swelling on the face. He saw when his aunt took him in her arms and placed him gently on the ground. 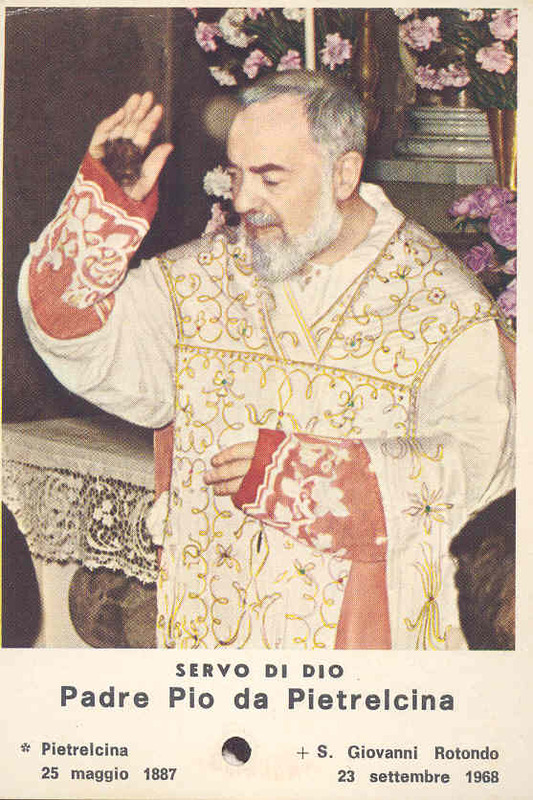 Padre Pio introduces Sister Rita to his spiritual daughter, Renata Adorni, during bilocation. 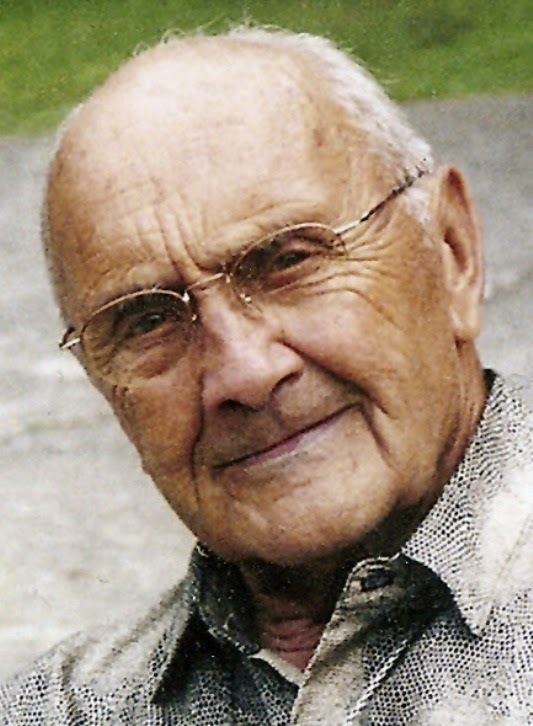 “It was 1954 when I had to go to Bologna to see Dr. Malfatti to receive treatments for facial myalgia. The treatment lasted a few months. The doctor in charge, Giovanni Malfatti was an admirer of Padre Pio. Talking to him, I found out that like me, he was a spiritual child of Padre Pio. I confided to him that I often went to Padre Pio to ask his advice about the health of patients in the hospital of Parma. In this context, the doctor suggested a shortcut for me to contact Padre Pio. In order to fulfill his professional duties and avoid unnecessary traveling to San Giovanni Rotondo, he frequently went to a town in Pisa where he visited a charismatic Augustinian nun who was in contact with Padre Pio. This nun’s name was Sister Rita Montella, and according to him, every night Padre Pio used to visit her in bilocation. They would talk and pray, reciting the Holy Rosary. The doctor, therefore, encouraged me to present to this nun all the requests I had for the patients so that I could get the response from Padre Pio during the following morning. He even offered to take me by car with his wife to meet this nun. However, since I was so attached to Padre Pio, I did not want to have recourse to this nun. After two months of Dr. Malfatti’s constant insistence that I meet this nun, I had an incredible an unexpected experience. One night in my bedroom I was half asleep when I felt a knock on the door. Assuming is was a family member I invited them to enter. Then I saw that the door was already open and that a Capuchin friar, which I recognized as Padre Pio was there together with an unknown nun. Then Sister Rita looking at me tells me, “Do you want to pray the Rosary with our “grandpa” (Padre Pio)?” I noticed that while she was saying this, she had a beautiful white rosary in her hands. Padre Pio came close to me, gave me a few slaps on the cheek and a triple blessing. I kissed his hand. Sister Rita caressed my face as she had done when they came in. They both said “Good rest!” and left closing the door. When they disappeared, I had a vision of a great building that I had never seen before. I looked at the clock and it was around 4:00am. 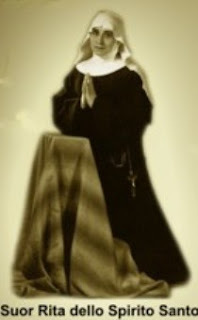 I should clarify that regarding the nun that came with Padre Pio, I was under the impression that it was St. Rita of Cascia. 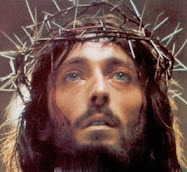 In order to confirm this, early that morning I went a few Churches in the city to see a few paintings of this saint. But I did not get the confirmation I wanted. I couldn’t find any paintings of St. Rita in the Churches of Parma. A few days later I went back to see Dr. Malfatti for treatment and I told him about my experience and St. Rita of Cascia. He immediately assured me saying, “It was not St. Rita of Cascia the one who came with Padre Pio. The one Padre Pio brought to you was Sister Rita, the Augustinian nun from Santa Croce sull’Arno, the one whom you had not wanted to meet.” I recall now that I did not want to meet her out of respect to my dear Padre Pio. On that occasion, Dr. Malfatti gave me a presentation letter to take to the Abbess in case I ever wanted to visit that nun. A few months later I took the train to go visit the nun at Santa Croce sull’Arno. My first surprise upon entering the monastery was the shape of the building which was exactly what I had seen in my vision. I handed the letter of presentation to the Abbess who welcomed me warmly. Then, I had a private meeting with Sister Rita which was amazing. Before we started to talk through the grill, it was she who called me by name and told me, “Renata, I know you! I remember that night that I came with Padre Pio…When you go to San Giovanni Rotondo give him my regards.” That was my confirmation. In 1980 Sister was diagnosed with a benign brain tumor. Two years later she fell down the stairs and broke her left arm. From then on her health deteriorated. She had heart trouble, her legs were very weak and she had various pains. She spent most of the 1980’s enduring physical sufferings. 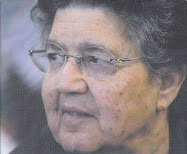 She told her nephew, Arcangelo Aurino, that she would not make it to her 50th jubilee of her profession (April 28, 1993). In September 1992 her health took a turn for the worse until the day of her passing, November 26. At 1:00pm the Abbess found her prostrated and suffering and made her have some coffee to which she had a terrible reaction. She vomited so violently that she fell to the floor. When the Abbess returned, she found Sister Rita kneeling while holding on to her bed and with her gaze fixed on a painting of St. Michael. She passed away at 1:30pm on November 26, 1992. She was originally buried in a cemetery in Florence, but on the tenth anniversary of her death, her remains were transferred to her monastery and placed behind the altar of the Church. Oh Lord, our God, You have called Sister Rita of the Holy Spirit to the full realization of her baptismal consecration by dedicating herself completely to You in the contemplative Augustinian life in order to find God and help the Church. You, Oh, Father, have made shine forth through her with the charisms You have given her the face of Christ, making Him visible among men and women of our time. With Your help she has taken on herself the troubles of her brothers by serving Christ suffering in her body and becoming through humble prayer a sign and witness to Your Love. Hear our prayer: deign to glorify her now on earth and through her intercession grant us the grace that we ask with faith. Amen. An amazing story, thank you for sharing it with us! I never heard of her either but I sure wish I had a relic of her. Does anyone know if it is possible to get a relic, I started praying to her as of today, I need it the devil increases his attacks on the ones that want to follow Jesus and follow His commandments. Unbelievable how harsh a situation he creates. May God bless all of you who read this article about this Saint Rita of the Holy Spirit. Thank you for letting us know about her.from today I will ask for her intercession for a favour that I need from her and padre pio and I will let u know how it goes. Thank you very much for this wonderful and very interesting story. My mother's name is Rita and so is my mother-in-law's, and my only daughter's name is Rita. I have already asked St. Rita of the Holy Spirit for intercession for something so we will see what happens.....Praised be Jesus Christ. 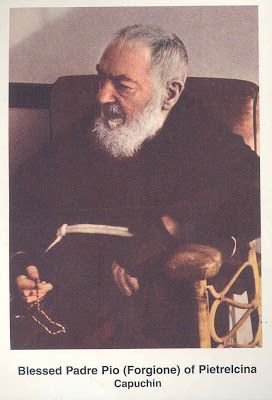 The stories of bilocation between Padre Pio and Sister Rita is very interesting. Thank you for this article. Thank you so much for publishing this. May God bless you for making so many of these wonderful saints available to us. Thank you for sharing all these stories of all these beautiful Saints , it really strengthens our Faith and Hope in our Loving God. May our Lord continue to Blesss you& your wife and family . 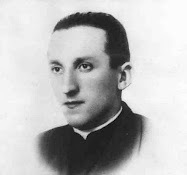 Morcaldi la cual a semejanja de la sierva de Dios Rita dello Spirito Santo, termina tambien pareciendose a su padre espiritual el padre pio de pietrelcina. Just knew a beautiful servant of Our Lord through our sharing Glenn. If there is a request I want to asked of her, its like her time on earth helping those most in need and in danger, I ask & prayer that she help and protect persecuted Christians especially in Muslim countries. Pray for us Sr Rita of the Holy Spirit. 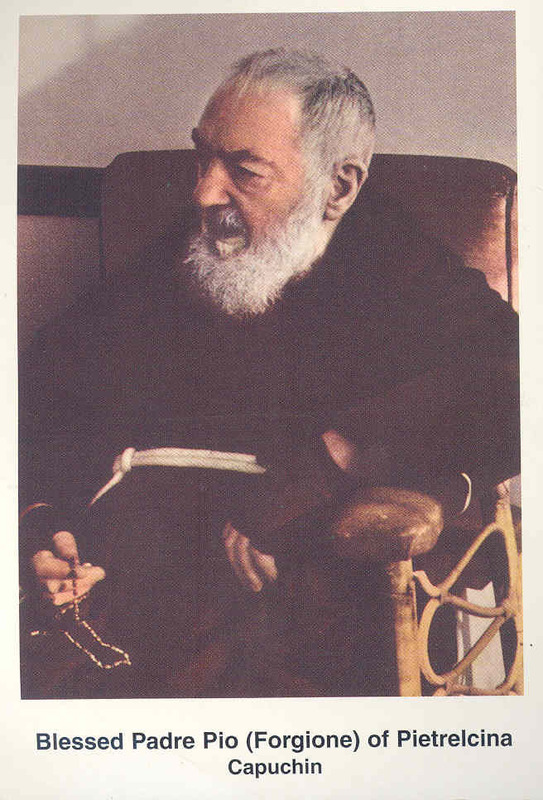 Padre PIO and Sister Rita please help me fighting the devil who is attacking me whenever I pray to you please help me. Come close to me when I am praying so that the devil can be defeated in Jesus Name. Thanks so much for your interesting comments! Was what a great pleasure to meet Sister Rita of The Holy Spirit. I love Padre Pio and from now on love her too. Thanks for sharing! Thank you for taking the time to share with others.